If you’re thinking of selling your vehicle to a private party, then you owe it to yourself to stop at the Car Buying Center at Steven Nissan in Harrisonburg, VA near Staunton, Charlottesville, and Waynesboro, VA. We make selling your car easy & painless. We’ll make you an offer on the spot, and provide you with a check for your vehicle. Selling your car has never been faster, safer, or easier! Fast Appraisal – We know you’re short on time. That’s why we’re dedicated to giving you top dollar for your car, truck or SUV within minutes. Just schedule a time to come in to our Harrisonburg, VA location to get the process started! Safe & Certified – Safety is key! We have a certified purchasing team that will ensure you are getting the most for your vehicle. Get Paid Today – If we end up buying your vehicle, then you will get paid. Fast! Get paid the same day with a certified cashiers check! The choice to sell your car at the Car Buying Center at Steven Nissan is easy. But if you’re still having doubts, let’s ease your mind even more! Our highly trained appraisers will treat you like family. If you live in the Staunton, Charlottesville, and Waynesboro, VA areas and are looking to sell you vehicle then do yourself a favor. 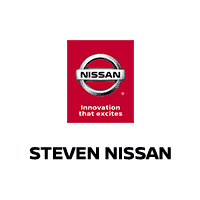 Stop in to the Car Buying Center at Steven Nissan for your FREE appraisal today. We look forward to seeing you!